-Two key developments in 2015 highlighted the consequences of President Isaias Afwerki’s authoritarian rule: the continuing flow of Eritreans escaping the country, and the publication of a scathing 453-page report by a United Nations commission of inquiry describing the serious human rights violations prompting thousands to seek refuge outside Eritrea. 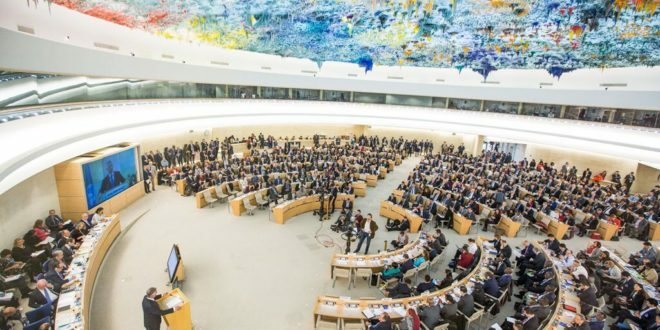 In June, the UN Human Rights Council extended the commission’s mandate until mid-2016, instructing it to further investigate whether some abuses constitute crimes against humanity. 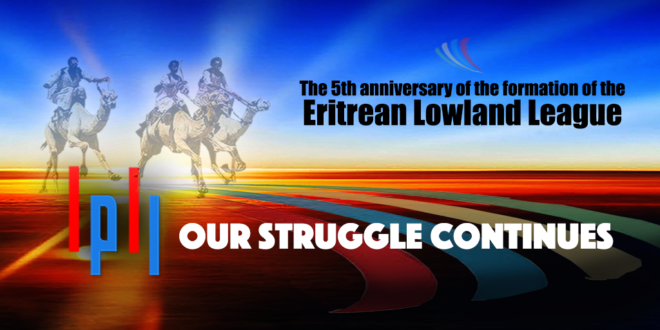 By law, each Eritrean is compelled to serve 18 months in national service starting at 18. In practice, conscripts serve indefinitely, many for over a decade. 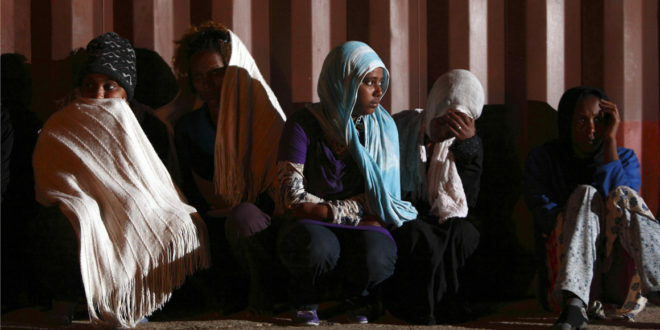 One escapee, echoing many others, told Human Rights Watch, “I don’t mind military service but in Eritrea it never ends and you have no rights.” Most Eritreans begin military training as part of the last year of high school, but children as young as 15 are sometimes conscripted. Assignments include forced labor for government-owned construction firms, farms, or manufacturers. Conscripts receive inadequate pay to support themselves, much less a family. They are subject to military discipline and are harshly treated throughout their long service. Perceived infractions result in incarceration and physical abuse often amounting to torture. Military commanders and jailers have absolute discretion to determine the length of incarceration and the severity of physical abuse. Female conscripts are often sexually abused by commanders. There is no mechanism for redressing abuses; protest can result in more severe punishment. Senior government officials told foreign visitors and diplomats in 2015 that the government intended to release the current and future classes of conscripts after they serve 18 months, but President Isaias made no public announcement of a change in policy, nor was there any other independent corroboration of the claim. Yemane Gebreab, the president’s political adviser, admitted to a foreign reporter that demobilization hinged on whether the economy could absorb those released. When conscripts have been “released” from national service, some have been forced to work for the government, rather than being allowed to choose their own careers and jobs, although at somewhat higher pay than conscripts. Older former conscripts are compelled to participate in the “People’s Army,” including periodic military training and weekly participation in public works projects, guard duty, or security patrols, all without pay. Arbitrary arrests are the norm. A prisoner is rarely told the reason for the arrest; often prison authorities are not informed. Detainees are held indefinitely. Releases are as arbitrary as arrests. Few detainees are brought to trial. Prisoners are held in vastly overcrowded cells, underground dungeons, or shipping containers, with no space to lie down, little or no light, oppressive heat or cold, and vermin. Food, water, and sanitation are inadequate. Beatings and other physical abuse in detention have frequently been reported, sometimes resulting in deaths. The commission of inquiry concluded that the prevalence of torture is a “clear indicator of a deliberate policy” to “instill fear among the population and silence opposition.” Many prisoners simply disappear. President Isaias rules without institutional restraint. A constitution adopted in 1997 remains unimplemented. No national elections have been held since independence. Eritrea has had no legislature since 2002. The court system is subject to executive control and interference. Nongovernmental organizations are not permitted. The commission of inquiry noted the government’s rampant use of spies through a “complex and militarized system of surveillance.” Family members are often punished for the actions of close relatives, usually by having coupons and licenses necessary to receive government services cancelled; sometimes family members are fined or jailed. The government owns all media. 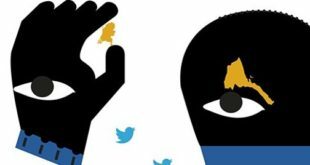 The Committee to Protect Journalists identified Eritrea as the most censored country in the world. Sixteen journalists remain imprisoned without trial, some since 2001. Six government journalists were granted bail in 2015, almost six years after being jailed without trial. No reason was given for their arrests or provisional releases. In March, authorities in Adi Keyh, a town southeast of Asmara, bulldozed a number of “unauthorized” houses. When townspeople and students at the nearby College of Arts and Sciences protested, some with sticks and stones, security forces fired at them. Two people were killed and others injured. 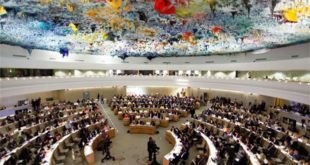 According to the UN’s special rapporteur on Eritrea, houses were also destroyed near the capital, Asmara, rendering about 3,000 people homeless. The government persecutes citizens who practice religions other than the four it recognizes —Sunni Islam, Eritrean Orthodox, Roman Catholic, and Lutheran churches. Prayer meetings of unrecognized religions are disrupted and participants are arrested. A condition for release is usually a signed statement by the prisoner recanting his religious affiliation. Jehovah’s Witnesses are especially persecuted. Three arrested in 1994 for refusing to serve in the military remain imprisoned 21 years later. As of mid-2015, they were among 56 jailed Jehovah’s Witnesses. The government also interferes with the practices of the four religions it recognizes. The government appointed the Sunni imam in 1996, deposed the patriarch of the Eritrean Orthodox Church in 2005, and appointed his successor. The deposed patriarch remains under house arrest 10 years later. In 2014, the Danish Immigration Service issued a report suggesting that human rights conditions in Eritrea were better than reported and that no harm would come to Eritreans who were returned from countries where they sought asylum. In 2015, the report was repudiated by two of its three authors amid growing questions about the credibility of the report’s methodology. 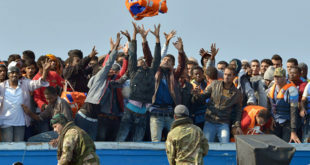 One of the report authors contended that quotations in the report were taken out of context by his superiors to achieve a political goal of discouraging Eritrean asylum seekers. Eritrea’s relations with neighboring Ethiopia and Djibouti remain severely strained. Fifteen years after a bloody border war, Ethiopia occupies slivers of territory identified by a boundary commission as Eritrean, including the town of Badme where the war began. President Isaias uses the pretext of “no-war, no-peace” to keep his countrymen under totalitarian control. In September, Molla Asghedom, head of an armed Ethiopian opposition group, the Tigray People’s Democratic Movement (TPDM), long given sanctuary in Eritrea and reportedly used to round up draft evaders and to protect President Isaias, fled to Ethiopia via Sudan, accompanied by several hundred followers. Eritrea continues to host other armed Ethiopian opposition groups. The UN Security Council maintained an arms embargo on Eritrea for another year after receiving a report from its Monitoring Group on Somalia and Eritrea that found no evidence Eritrea was still supporting Al-Shabaab rebels in Somalia, but complained Eritrea had not cooperated in Monitoring Group investigations and had not provided information about Djiboutian prisoners of war captured in border clashes in 2008. Much of Eritrea’s foreign exchange income comes from foreign gold/copper mining company projects in which the Eritrean government holds a 40 percent stake. In 2015, a mine, majority-owned by China’s Shanghai Corporation for Foreign Economic and Technological Cooperation (SFECO), began operations, joining the Bisha mine, majority- owned by Canada’s Nevsun Resources. A third mine, bought in late 2015 by Chinese state-owned Sichuan Road & Bridge Mining Investment Development Corp. (SRBM) from a Canadian majority-owner is expected to begin operations in late 2016. Based on Nevsun’s experience, there are concerns that new mining projects will be compelled to use government-owned construction firms for infrastructure development and thereby indirectly use conscript labor. China is Eritrea’s largest trading partner, investor, and contractor. One company, China Harbor Engineering Co., is engaged in a US$400 million project to modernize Eritrea’s primary port, Massawa.